Bulk Assess – We now offer the option to turn off/on assessment completion notifications when sending assessments in bulk fashion. Cognitive Assessment – We fixed a bug that disallowed edits and saving for the Cognitive Assessment email template. Cognitive Assessment – Assessment takers can now identify who has sent them the Cognitive Assessment. We’ve added an “Administered By” field to the Cognitive Assessment section of the Person page. Job Folders – We’ve added a new capability for those who like to use folders as “jobs”. When a folder is created, we ask if that folder is related to a specfic job, offer to auto-create a job, and provide the most popular benchmark job target to compare candidates against! Take advantage of this feature to unlock match scores, custom interview guides, and more! Person Snapshot – After a person completes the Behavioral Assessment using the employee link (found on the Track Employee Assessments Card and the Onboarding workflow for new customers), they will automatically receive an email with their reference profile results and their Person Snapshot attached. Tell us who you are – Users can now confirm who they are by heading to their own person page and selecting “this is me”. The result is a personalized banner on the main dashboard. In the future, we will use this feature to customize your software experience. Behavioral Assessment – Users can now download user behavioral score ID information in a CSV format. The CSV will include the Behavioral Score ID, reference profile, first name, last name, email address, and date of assessment completion. Bulk Assess – Users can now send Behavioral and/or Cognitive assessments in bulk fashion, by uploading a list of email addresses, and sending away! Job Matches – We’ve added “Last Modified” data to the candidate list table on the job page. This allows you to sort and view the most recent candidates very easily. Job Page – We have improved our page refresh behavior, so when you update information on the job page, you no longer have to refresh the page to see the updates. Cognitive Report – The Cognitive Report now displays the subscores for an individual. For those familiar with these, each category will now show the total number of questions attempted and correct. Cognitive Report – The Cognitive Report now offers the ability to hide potentially sensitive information such as the Cognitive Target for the job, so the report may be more suitable for sharing with candidates. Localization – You can now share the Person Summary Report, Relationship Guide, Coaching Guide, and Team Work Styles (email/print/download) in the language of your choice. Onboarding – New clients are now presented with an enhanced welcoming messaging. The new flow makes it clear what steps new clients should take, and makes it super simple to start getting value by sending the behavioral assessment to all employees. Reports – The Person Snapshot, Relationship Guide, and Coaching Guide can now be directly emailed from the PI platform. Admin – Default company email settings can now be configured in supported languages for sending a Job and Receiving Job Assessment results. Admin – There is now the ability to search for an email address of a person to anonymize all data associated with that email at once. Team Work Styles – Team Work Styles now includes the ability to create or modify groups. Did you just go through the effort of adding everyone on your team to Team Work Styles and realize you’d love to be able to save this group of people to use again? Now you can! There is also now a “clear all” right from the Team Work Styles page when you’re done looking at one group and ready to learn about another. Additionally, the Team Work Styles Report can be emailed to yourself, the team, or other stakeholders. Assessment Center – When sending a Behavioral Assessment through the Assessment Centers, users can now quickly associate the person with a job target. BSID – A new person can now be added or updated by entering their Behavioral Score ID. This is helpful in adding users who have taken the Behavioral Assessment in the past to new organizations, as well adding any previously taken assessment to a person’s information. 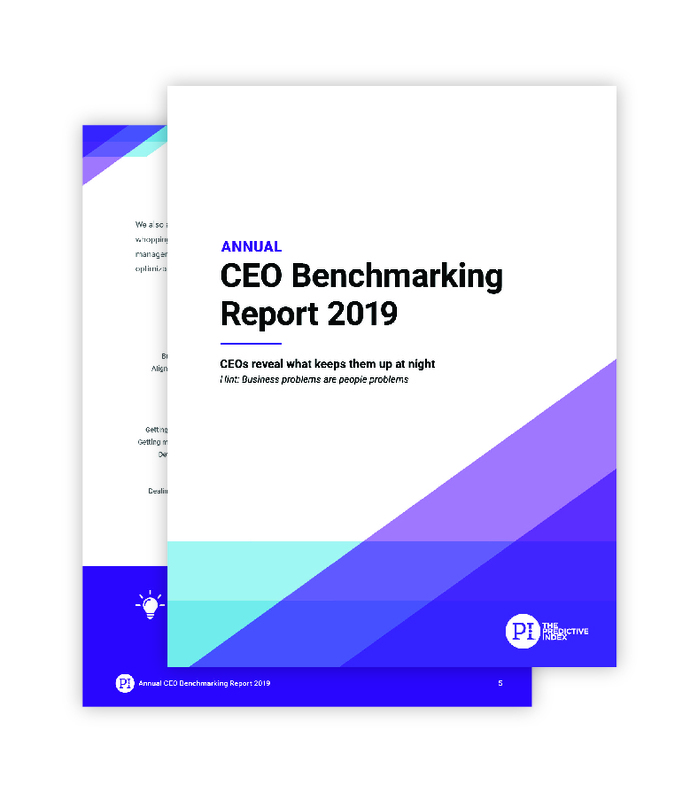 Cognitive Report – The Cognitive Report now breaks down the details of how the person scored on the assessment, how their score compares to the job target, and even how they compare to the user population as a whole. Also, view important best practices for how to interpret and use the results to inform decision making. Dashboard – Are you a manager wondering how to motivate your employees? Or perhaps provide direction and feedback? You can now find this and more directly from the Reference Profile dashboard card. Person Page – The Coaching Guide is now available directly from the Person Page. Looking to better align job expectations for an employee? Associate them with a job target to get started. Don’t have a job target set or not sure where to start, check out these Catalyst resources: https://predictiveindex.force.com/knowledgebase/s/article/Coaching-with-Job-Target-for-performance-in-job, https://predictiveindex.force.com/knowledgebase/s/article/Managing-vs-Coaching. Person Snapshot – There is a new report available that provides quick insights to assessment takers. Quickly digest behavioral insights without having to be a PI expert or drive into a full report. This report is a launching off point by providing additional resources for curious employees and candidates who want to learn more about how PI can help them in their career. BA Report – The Influencing style of the BA Report will not be supported for non-English languages. Non-English users will not be able to view or download this section of the report. Cognitive – Added a link to the Cognitive Admin guide to answer all questions related to the administration of Cognitive Assessments. Groups – The Groups page has been redesigned to make it easier to create and manage groups. Job Targeting – The job targeting flow is streamlined to allow for job family selection on the Job page. Selecting a job family helps set benchmarks and makes it easier to find the right match for a given role. Localization – Reports can now be shared in a different language than the platform. Viewing the site in English, but need to send a colleague a Spanish report? Simply select the appropriate language when sending. Other Job Matches – We’re excited to bring you top-match jobs for a person! There’s an added tab to the Person page which allows you to see which jobs this person is a good match for, based on Behavior and/or Cognitive assessment results compared to the job targets! In addition to hiring, use this for potential lateral moves, promotions, or dream job conversations! Cognitive Assessment – There are new guardrails added to the Cognitive portion of the Job Assessment. If there is significant disagreement about the cognitive demands for the position among stakeholders, users will be prompted to regroup before finalizing a cognitive target. Internet Explorer – We fixed some pesky bugs related to using an IE browser, that were causing user interface issues. Person Details Page – When viewing a candidate, their match scores for how behavioral, cognitive, and overall match against the job they are associated with will display! Candidate not associated with a job yet? Make the association from here, and see how they match! Behavioral Assessment Checklist – For users of paper assessments, the BA checklist is now available in 68 languages and can be downloaded as a PDF. Folder Management – Account Owners, Account Admins, and Power Users can now manage folders directly from the Folders menu. No more hunting around for an administrative setting. Localization – We now support non-English speakers in our new PI experience. The language at login will be based on the user’s browser setting. To override this default, select the language from the globe drop down when logging in. When logging in the UI and reports will be in the logged in language. Quick Send Assessments – Now includes a prompt to easily associate an assessment with a job target allowing users to see how results match to the job target. Person Details Page – The summary from the Person Details page is now easily sharable with employees, hiring managers and key stakeholders. Just download the PDF from the Generate Report button. Read Only Permissions – Users with Read Only permissions can now create and manage groups, allowing them to easily run Team Work Styles, Group Analytics, and more. Site Performance – We have made some investments in improving the performance of our software. We hope you notice a significant difference in how fast pages load! Cognitive Assessment – For users needing special accommodations, time can now be extended. This feature allows Account Owners to adjust the time assessment taker has to complete the assessment to either a 12 min (standard), 18 min (extended), or 24 minute (extended) timed assessment. Dashboard – Easily invite employees to take the PI Behavioral Assessment using the Open Invitation Link supplied right on the Inspire Reach dashboard card. Using this link will also tag your employees properly to support clean data collection and maintenance. Feedback – Customer feedback has been vital to help us build a better PI experience. We’ve added a new feedback mechanism throughout the software to collect insights on customer experience and report contents. We look forward to hearing from you. Job Association – There are now more ways to easily associate a person with a job throughout the PI experience. From any job page, users can now search for and easily add an existing person to the job and see how they align against a job target. Additionally when sending an a assessment, users will see an optional field to associate a job. Open Invitation – Open Invitation links created in the Classic version of the PI Software will now be available in the new PI Experience. These links can be copied and shared with candidates and employees. We recommend you convert and then delete old Classic links. Person Page – The Overall tab on the Person Page now has a new design to make it more easier to read and glean insights. Education – There are two new Catalyst articles: 1)Team Awareness Session with Team Work Styles – a guide to help you understand gaps and fit using the Team Work Styles tool, and 2)Team Activities with Team Work Styles – a list of suggested team building activities using the information from Team Work Styles. BA Report – For English users, the PI Behavioral Assessment report is now gender-neutral. This is a step toward inclusivity and reduction in gender bias. Dashboard – The Inspire Reach dashboard card now shows the most common Reference Profiles within your organization by default. Job Targeting – Based on the job familiy benchmark selected during job creation, we now share the most common job target as set by other hiring managers across our platform. This can be used as an easy starting point for defining the job target of your position! Traditional ways to set job targets, including the guided survey, getting stakeholder input, and using a top performing role model already in your organization are still options and can be accessed at the bottom of the screen. Relationship Guide – The Relationship Guide is now available to print and download as a PDF. Generate a Relationship Guide to help two people understand how they work together – even if they are not PI experts they will get valuable insights. Team Work Styles – Candidates are now shown as orange on Team Work Styles. Better visualize how a new candidate fits into your team. People who are employees showing up orange? Don’t forget to update their type to employee after they are hired. Team Work Styles – The search page at the beginning of Team Work Styles has been removed. Add or remove people directly on the tool page. Team Work Styles – Strategy Insights – There is a brand new overlay in the Team Work Styles tool that allows Leadership to select priority strategies and visualize how various members of a team align with achieving business goals. Answer questions like: Is the distribution of the team right for completing the strategic activities identified? What is at stake if the style of the leadership team is not aligned, or not adjusted to align, with the organization’s strategy? Checklist – The Assessment Center now has the option to enter checklist results from paper versions of the PI Behavioral Assessment. Job Targeting – When viewing a job, The Predictive Index now automatically recommends additional people who may be a fit for a particular target. Check it out under the Other Top Matches tab. Person Details Page – When downloading a pattern (Self, Self-Concept, and Synthesis) Reference Profile is included. Person Details Page – Management Strategy Guide for an individual is now accessible from their Person Details Page alongside other reports. Placard – Placards now include Reference Profile. Be sure to print out now ones to speak a common language about workplace behavior! Coaching Guide – Now available as a downloadable PDF! Print a copy to prepare for upcoming 1:1 or personal development meetings. Job Report – Now available as a downloadable PDF! Print, share, or email to ensure stakeholders understand what’s expected of a targeted job. Team Work Styles – Now available as a downloadable PDF! Print a copy to ensure stakeholders understand how a group of people communicate, make decisions, and execute. URL – As the main beta period of the new PI experience has concluded, the URL to access the PI software is officially transitioning from https://beta.predictiveindex.com/ to https://app.predictiveindex.com/. Bookmarks to old URLs will automatically be redirected. NEW: Catalyst – Users can access two new articles on Catalyst. The Using the Management Strategy Guide article provides context on when, why and how a manager would use the guide to improve their management skills by flexing their own behaviors and style to align with the needs of their employees. The Coaching with Job Target for Job Performance article provides tips and information on how to use the job target to have coaching conversations about job performance with employees. Cognitive Assessment – Users with integrations to the Greenhouse Applicant Tracking System can now see Cognitive Assessment results in Greenhouse. Cognitive Job Target – Users can now add a Cognitive Target to Jobs that have a Behavioral Target set only. Team Work Styles – Users can now provide feedback on how they are using Team Work Styles. The feedback will help improve the Team Work Styles design and present clear use cases that result in actionable insights. We look forward to hearing from you! Dashboard – The Recent Job Activity card has been updated with more actionable information to show the status of various positions currently open. Quickly view Job Targets and top candidates and take action directly from the dashboard. Dashboard – The Inspire Dashboard Card now has the ability to present the most common Reference Profiles within an organization. Interview Guide – Any person type (Candidate, Employee, Other) can be associated with a Job to allow for the running of an Interview Guide. Now current Employees can easily be compared to open positions within a company without having to reclassify them within the PI system. Job Report – Updated Job Report to highlight the Behavioral Profiles that match a Job Target and provide descriptive terms and noteworthy behaviors for the pattern. Job Targeting – When creating a Job within PI up to 10 potential matching Job Families are presented to set a Cognitive benchmark versus the previous five. Navigation – Team Work Styles and Group Analytics can now be accessed from the Actions Menu on tables throughout the software. Notifications- New email notification for assessment senders. The new notification provides actionable next steps after the assessment taker completes their assessment including information about the taker’s Reference Profile, directly links to download the placard and behavioral report report and more. Open Invitations – Users can now view, edit (update folder, type, name, etc.) and manage the Open Invitation links generated for their account (at the Account Owner and Account Admin Level). As a reminder, it’s easier than ever to associate Open Invitation links to jobs enabling Match Scoring for candidates to make hiring processes more efficient. Team Work Styles – Based on valuable client feedback Team Work Styles has received a streamlined design to help users digest, share, and take action. We look forward to your continued feedback! Cognitive Job Target – Selecting a job family when creating a job will set a baseline Cognitive target score based on benchmarks from similarly hired positions. Cognitive Job Target – The Job Assessment now allows the users to request stakeholder input. A user can choose to include or exclude any of the results to form the Cognitive target. Results included are averaged to determine the recommendation. The user can go with the recommendation, or override and set manually as desired. 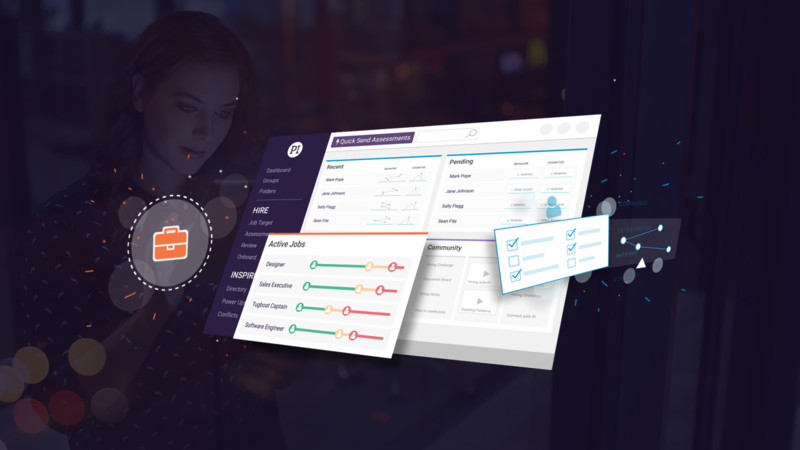 Inspire Dashboard Card – A new Inspire-centric dashboard card that allows companies to track their progress towards implementing PI throughout the organization. Users can set their company headcount and see how many of their employees have been assessed. Match Score Updates – After conferring with our Science team and testing additional models, the match score algorithm has been updated to reflect wider ranges. This does not change the prioritization of candidates match to a job target but you may notice some match scores for individuals have been adjusted. NEW: Benchmark Employees for Job Assessment – When setting Job Targets, users can now leverage the targets of existing users they know are high performers (role models), and select to use their profile as input to setting the job target. Users can select as many role models as they want to get a benchmark. This feature can be used with or without requesting input from additional stakeholders. Cognitive Assessment – Account Owners can now send cognitive assessments by email from the assessment center left hand navigation. Interview Guide – Users will receive a friendly reminder prompt to provide feedback on a candidate (e.g. indicate favorite vs. pass) post interview. This reminder will be served 2 days after printing, emailing, or downloading the interview guide for the given candidate. Management Tools – Users can now generate the Manager Development Chart and Management Strategy Guide for a Group enabling quick generation when running multiple reports for a manager. Person Page – Users can now change a job for a candidate right where it is listed on the top of the person page, via edit mode. NEW! Relationship Guide: Managers have a lot on their plates and time is their most valuable resource. This self-coaching tool provides strengths, cautions, and tips for how two people can work better together and minimize distracting employee squabbles. 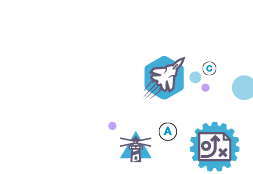 The first version of the guide focuses on how two people communicate. Cognitive: In the event a candidate needs to retake the cognitive test, it is now ensured they receive a set of unique cognitive questions each time they do so. Dashboard: New dashboard card to make it easy to learn more about reference profiles. This includes an overview video and links to the comprehensive reference profile document (also provided in PI training) as well as the ability to download a one-pager on a specific reference profile. Export to CSV:* 50 person cap removed. Exporting CSV will now export as many people as are selected across multiple pages. Navigation: Added ability to email reports throughout the software to yourself (the logged in user), the assessment taker whom the report is about, or other stakeholders (for instance you may want to send the Management Strategy Guide about a direct report to someone’s manager). Open Invitation: Now displayed on Job pages as an easy way to grab the associated link. GDPR: Account Admins now have the ability to enable/disable third party user (e.g. Certified Partner or Client Success Manager) access to their account. This is accessed using the Third Party Users tab on the Administration page. Multi-taker Job Targeting: There is additional contextual help to explain the job targeting flow to include best practices that lead to gaining agreement among stakeholders. Navigation: New Assessment Center provides a centralized page to send assessments and create Open Invitation links. This replaces the My OI Link admin drop down item and Assess Employees left navigation. Navigation: The Manager Development Chart is now accessable from both a Person Details page and the Employee Directory page. Navigation: Export to CSV now includes a link to the behavioral report, seperates out drive values into individual columns, and add the ability to include email address of the assessment taker. Team Work Styles: Based on user feedback there are is an updated interface for Team Work Styles. There are now four styles: overall, communication, taking action, and decision making. Each style is based on different set of custom selected factors combinations. There are now also additional insights into each style by providing strengths/cautions/tips for managing and working with the team. Team Work Styles: Hovering over an axis will now show PI Practitioners what factors are plotted in each chart. Assessment Defaults: The default expiration date for sent assessments has been increased from 8 days to 10 days. GDPR: A separate section is now available in the admin panel that allows for the management of users who have access that do not belong to that company. This will allow for enabling or disabling of users. Disabled users will no longer have permission to view the account. GDPR: The name of the company requesting the assessment is now added to the first page Behavioral Assessment Checklist (PDF) of the to indicate who the data collector is. Group Analytics: A group of people can now be compared to a job target in Group Analytics. Interview Guide: In case of a candidate that either has a match in every factor or in none, we now omit that corresponding question (explore vs. confirm) section header since there are no questions due to absolute match/gap. Interview Guide: Potential caution areas of a candidate with a Reference Profile added to guide. Interview Guide: Enhanced Interview Guide generation process where a user can select the job and appropriate candidate from pre-populated lists. Multi-taker Job Assessment: Job target thumbnail added for each contributor to differentiate between contributors’ JA results on a more granular level than the reference profile. Job Report: If Cognitive access is disabled, cognitive target will not appear on Job Report. Navigation: Columns can now be set to be visible or hidden within in lists.